Bobby Owsinski's Big Picture Music Production Blog: Is The World Ready For A New Codec? Anyone trying to export a song from their DAW knows that there are quite a number of audio data compression formats available today, even though only two of them are normally used in the vast majority of cases. Of course I'm talking about MP3 and AAC when it comes to downloads, although we're seeing an upswing in the use of FLAC files these days. Then when it comes to streaming, Ogg Vorbis is often used (especially by Spotify). This just goes to show that there's quite a bit of diversity in the online music files that we listen to, even if we don't realize it. That said, a new codec (compressor-decompressor) with better features than what's normally found might be desirable, and that's where the Opus Interactive Audio Codec comes in. Opus was designed for high-quality audio right from the start, supporting bit rates as high as 510kbs, sampling rates to 48kHz, with the number of channels as high as 255, among other technical features. It can handle a wide range of audio applications, including Voice over IP, videoconferencing, in-game chat, and even remote live music performances, and it can scale from low bit-rate narrowband speech to very high quality stereo music. It's also totally open, royalty-free, and is standardized by the Internet Engineering Task Force (IETF), incorporating technology from Skype's SILK codec and Xiph.Org's CELT codec. Getting support for a new standard can be difficult and time consuming, so any new codec, not just Opus, has an uphill battle to begin with. Then again, all is takes is adoption by one service and the rest may follow. 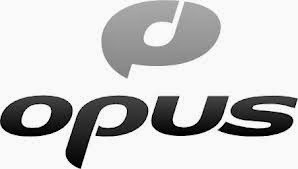 Watch the next year to see how Opus does. We may all soon have it as part of the output preferences of our DAWs. Go here to see more info about Opus. Very interesting article - Opus could end up being remarkable on all fronts - technically and particularly that it is so open.